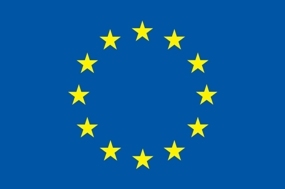 1 “Extending WordNet with Fine-Grained Collocational Information” Luis Espinosa Anke, Jose Camacho-Collados, Sara Rodríguez-Fernández, Horacio Saggion and Leo Wanner Proceedings of the International Conference on Computational Linguistics (COLING), Osaka, Japan, 2016. 2 “A Neural Network Architecture for Multilingual Punctuation Generation” M. Ballesteros and L. Wanner In Proceedings of the Conference on Empirical Methods in Natural Language Processing (EMNLP), Short paper track, Austin, TX, 2016. 21 “Linguistic Benchmarks of Online News Article Quality” Ioannis Arapakis, Filipa Peleja, B. Barla Cambazoglu, Joao Magalhaes In Proceedings of the 54th Annual Meeting of the Association for Computational Linguistics. Berlin, Germany, August 7-12, 2016. 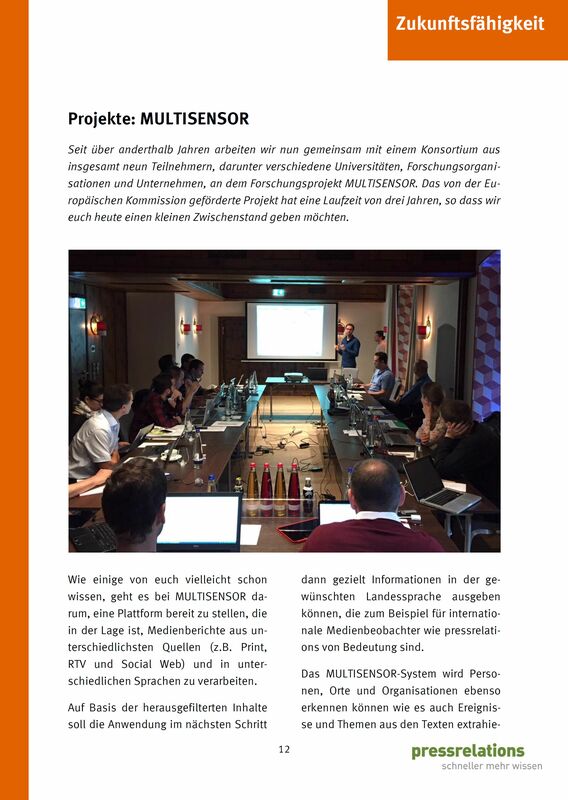 This page contains presentations held at conferences or workshops in regard to the MULTISENSOR project by one of its project partners. 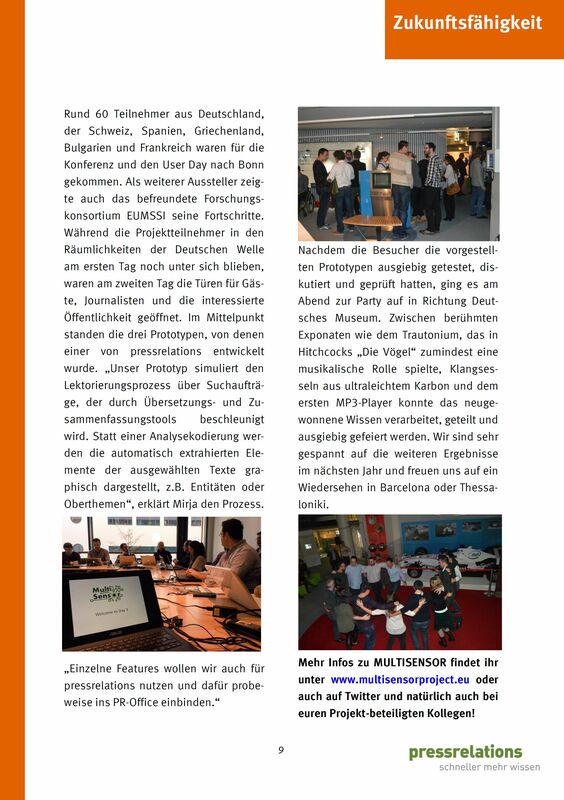 Presentations may be available in a local language only. 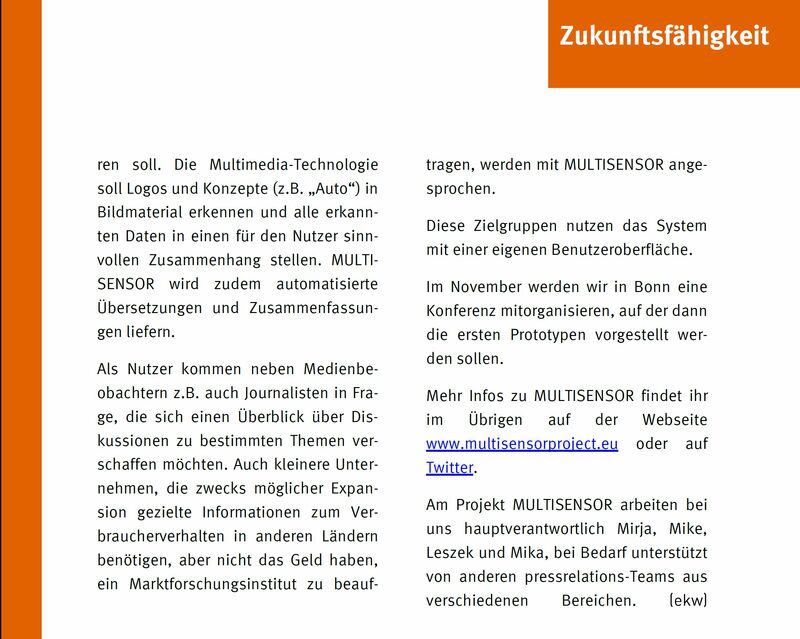 This page contains the press releases issued about MULTISENSOR by one of its project partners. 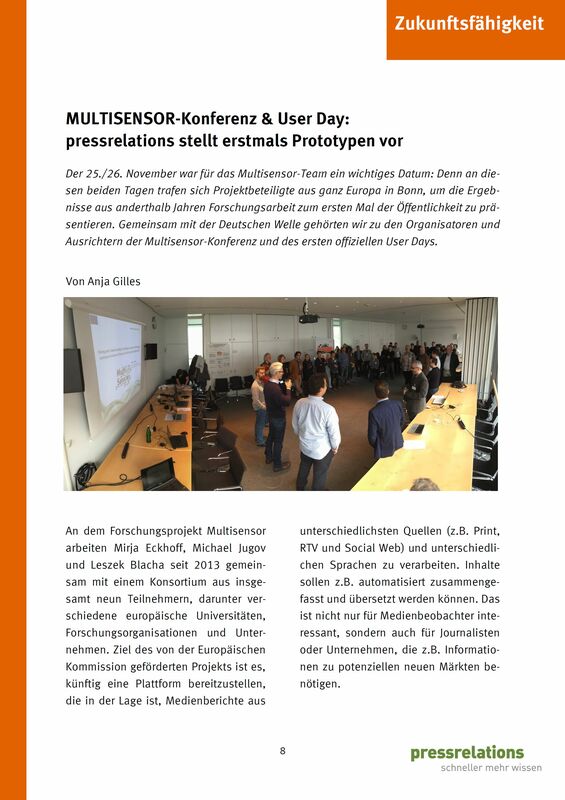 Press Releases might be in a local language only.